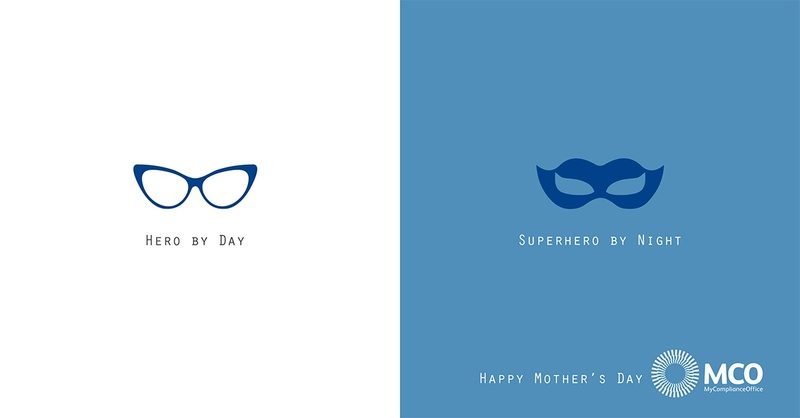 It’s almost time to step away from the heroics of your day-to-day compliance duties and enjoy a well-deserved break this Mother’s Day. Let’s be honest, motherhood is much like compliance and we believe that moms really do make great compliance officers! 1) We all know the demands of running a household and for sure it is great training for managing a compliance program. Budgets, organization, people skills, negotiations and communications are critical elements to keep the family and the organization happy. 2) In the beginning, it can be very challenging and there may be lots of sleepless nights as you try to figure out a good routine that works. Once you crack the routine, you can get the kids, big and small, at home and in the office, on track and organized. 3) Kids require commitment and constant attention to help them flourish and become good members of society who will contribute to its well-being. When we walk into the office, we want to make sure we do the same thing with our colleagues. 4) Being a mom is a tough job and sometimes it can feel a little thankless, but we love it and wouldn’t change it for the world. Bringing an organization along the compliance path can be really tough too, but the payback when you know things are done right is great. 5) Promoting good behaviors and reinforcing it with lots of praise and recognition helps kids to flourish. Building a culture of compliance is all about behaviors, recognition and rewards. We could keep going because we believe that moms really do make great compliance officers. At the end of the day, when you look at the fruits of your work and you see a good person made better, you know the hard work, love and dedication has made the world a better place. We wish you the very best this Mother’s Day. Mitigate Bribrey and Corruption Risk Register for our upcoming webinar here.